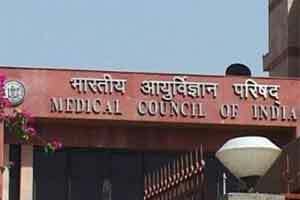 Punjab Medical Council (PMC) president Dr GS Grewal, in a press statement issued here on Tuesday, said that the Medical Council of Indian (MCI) has directed the state medical councils to act tough on diagnostic centres, which refer patients for “unnecessary” tests in order to earn “commission”. “Whenever a complaint is received against a medical practitioner for accepting commission, illegal abortions or nexus with the drug companies, the council should take immediate action and even suo-moto and notify the action taken by them in local newspapers and put it on the website under intimation to the MCI,” read the letter. Grewal said that the PMC would strictly act according to the directions issued by the MCI. He also warned that no doctor or practitioner indulged in unethical practices would be spared.